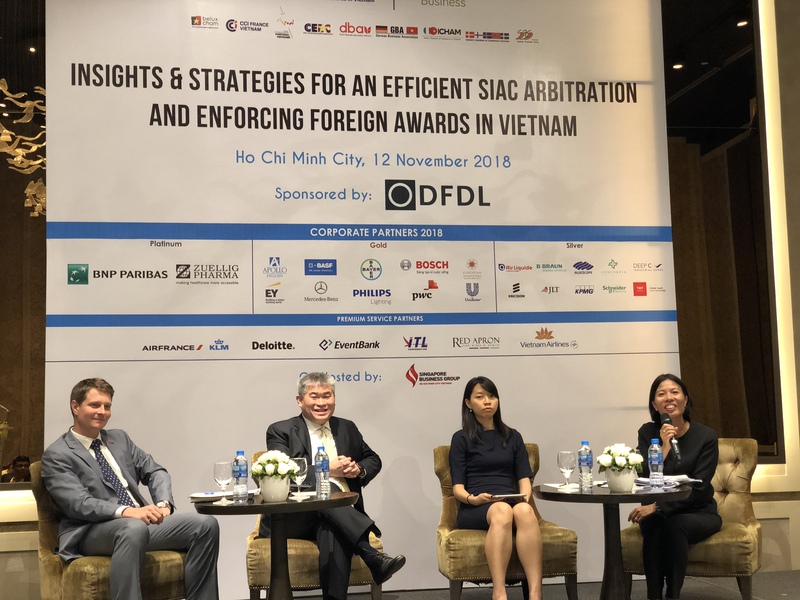 On 12 November 2018, the Singapore International Arbitration Centre (SIAC), CMS and DFDL Vietnam organized a lunch seminar on the topic: “Insights & Strategies for Efficient SIAC Arbitration and Enforcing Foreign Awards in Vietnam” in Ho Chi Minh City. 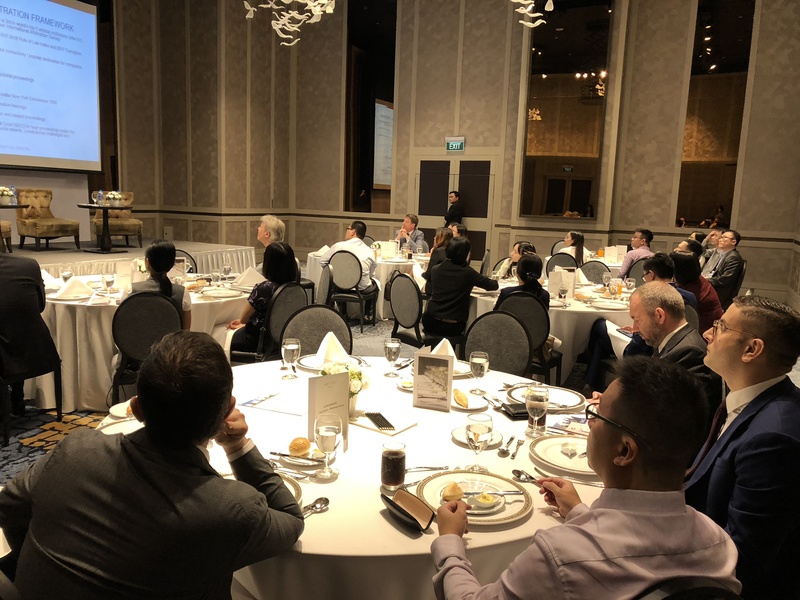 Steven Lim, CMS Senior Partner, opened the seminar with an overview of SIAC procedures, following by a discussion on the recognition and enforcement of arbitral agreements and awards under the New York Convention. 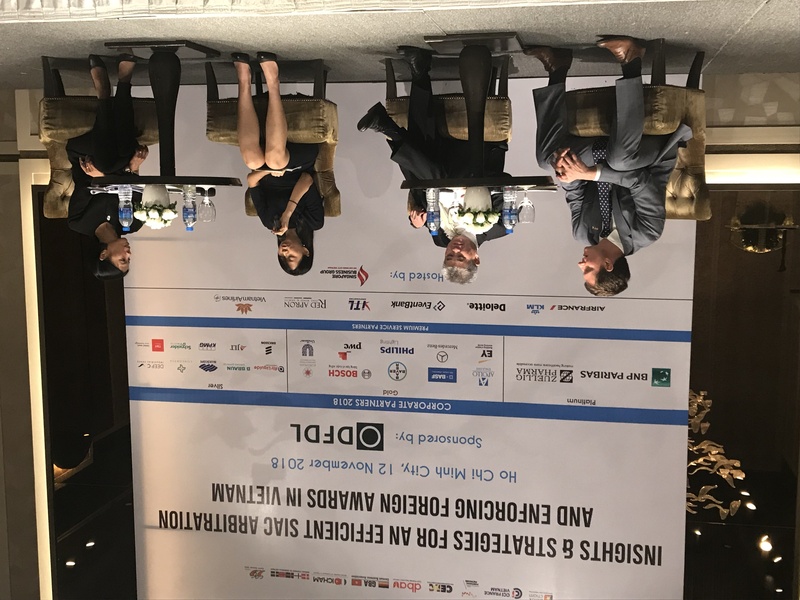 Lim Shi Jean, SIAC Associate Counsel, then provided a comprehensive overview of the SIAC arbitration rules 2016 and outlined a case study of how the rules have been implemented in practice to effectively and efficiently resolve commercial disputes. 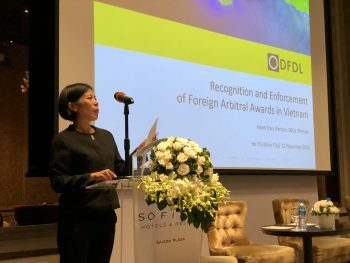 This was followed by Tran Thi Vu Hanh, Partner and Head of the Ho Chi Minh City Office, DFDL Vietnam, who imparted her analysis on the underlying legal framework and procedures of recognizing and enforcing foreign arbitral awards, along with the grounds for recognition or refusal, challenges and legal issues that may arise, and how the process works in practice. 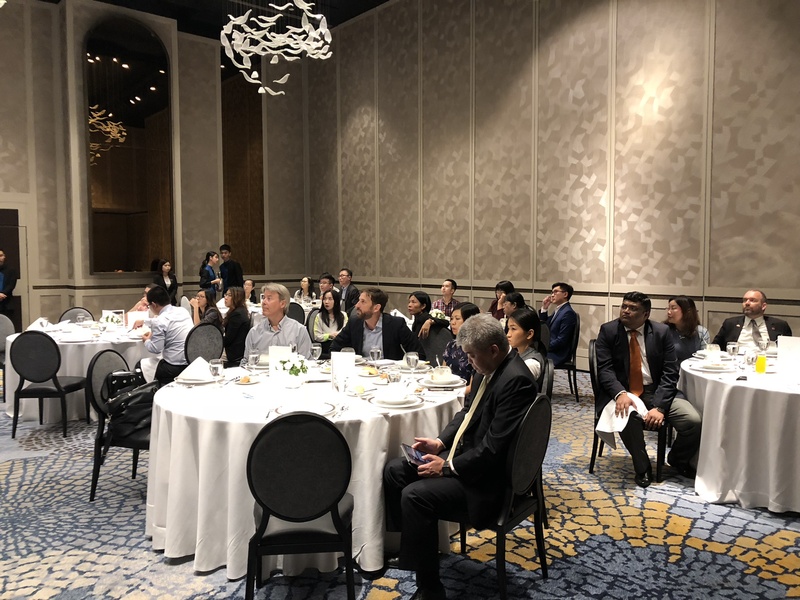 The audience gained critical insights through the practical solutions offered by our speakers on arbitration in Vietnam. The session was well received by over 30 participants, finishing with an engaging Q&A session where the audience had enlightening exchanges with our experts. Eurocham Vietnam, Singapore Business Group Ho Chi Minh City and DFDL are pleased to invite you to join their informative topic on Arbitration. Singapore and the Singapore International Arbitration Centre (SIAC) are a forum of choice for parties from diverse legal systems and cultures to resolve their cross-border disputes. In the last few years, SIAC has handled a growing international caseload of increasingly complex, high value claims involving parties from over 55 jurisdictions, including Vietnamese parties. Against a backdrop of increased inbound and outbound investment flows in the South East Asia (SEA) region, this seminar will provide an excellent platform for corporations involved in economic activities in SEA to identify risk management strategies and effective dispute resolution mechanisms for investments and collaborations in Vietnam. The seminar will provide a comprehensive overview of the SIAC Arbitration Rules (6th Edition, 1 August 2016) and illustrate examples of how the Rules have been implemented in practice to efficiently resolve commercial disputes. Panelists will share their insights and practical tips on doing business in Vietnam. 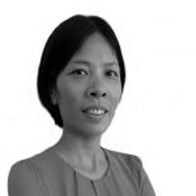 The seminar will also present an overview of one of the key concerns with respect to arbitration in Vietnam – the recognition of foreign arbitral awards and their enforcement in Vietnam, including grounds for recognition or refusal, challenges and legal issues that may arise, and how the process operates in practice.